Between enjoying a couple of weeks with my family and some ministry opportunities, this has been an enjoyable and busy summer. Summer officially came to an end last week. 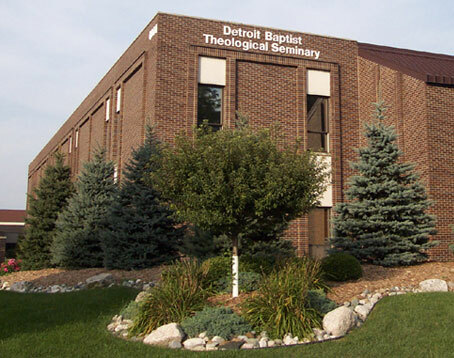 Detroit Baptist Theological Seminary‘s fall seminary program started on Monday evening, August 23, with our convocation dinner. The following day, we had orientation for new students and on Thursday, August 26, classes began. This fall begins DBTS’s thirty-fifth year of operation and my twenty-eight year of teaching at the seminary. In God’s good providence, I have enjoyed twenty-seven profitable years at DBTS and am looking forward to another one. As has been the case for almost three decades, our students will have a heavy academic load this semester. This fall I am teaching three classes: Hebrew Exegesis of Job, first semester of Elementary Hebrew Grammar, and Pentateuch. 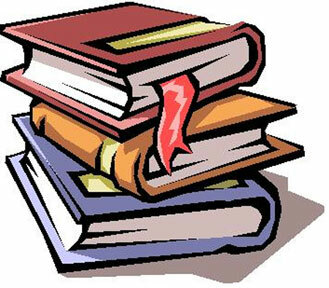 I have uploaded to my website the course requirements for each of these classes. If you still need the course requirements, or just want to see what these classes look like, you may get a concise overview for each class and then download the complete set of requirements by clicking any of the following links. With my final post on Proverbs, I will briefly summarize what we have covered in the previous thirteen posts and finally present a bibliography of key sources (to the left of the most important sources, I have placed *). With our previous thirteen-blog entries, we have developed these six hermeneutical guidelines: (1) recognize the characteristics of a proverb, (2) place individual passages within the overall structure of Proverbs, (3) identify more precise literary forms in Proverbs, (4) observe literary clues in each passage, (5) understand the book’s explicit theological structure, and (6) use the rest of Scripture to interpret problematic passages in Proverbs. Our God is absolutely sovereign in all areas of life. Nothing in the heavens or on the earth can thwart his plan (Pss 115:3, 135:6). However, our God has also foreordained the responsible participation of his elect to accomplish his sovereign plan. Our trustworthy participation involves our response of faithfulness to his moral will as well as living by wisdom. To assist us in our walk of wisdom, God gave us the book of Proverbs, as well as the other 65 books in the Canon. Because Proverbs is the largest section in the Canon dealing with wisdom living, we should become involved in studying the book and applying its principles to our lives and to those around us. May God grant us success in examining and using Proverbs. Alden, Robert L. Proverbs. Grand Rapids: Baker, 1983. Berry, Donald K. An Introduction to Wisdom and Poetry of the Old Testament. Nashville: Broadman and Holman, 1995. Evangelical Dictionary of Biblical Theology. S.v. “Proverbs: Theology of,” by Bruce K. Waltke. Fee, Gordon D. and Douglas Stuart. How to Read the Bible for All Its Worth. 3rd ed. Grand Rapids: Zondervan, 2003. *Garrett, Duane A. Proverbs, Ecclesiastes, Song of Songs. Nashville: Broadman, 1993. Hildebrandt, Ted A. “Proverb.” In Cracking Old Testament Codes. Edited by D. Brent Sandy and Ronald L. Giese, Jr. Nashville: Broadman and Holman, 1995. *Hubbard, David A. Proverbs. Dallas: Word Books, 1989. Kaiser, Walter C., Jr. Toward an Exegetical Theology. Grand Rapids: Baker, 1981. Kidner, Derek. The Proverbs: An Introduction and Commentary. Tyndale Old Testament Commentaries. Downers Grove, IL: InterVarsity Press, 1979. Klein, William W., Craig L. Blomberg, and Robert L. Hubbard, Jr. Introduction to Biblical Interpretation. Dallas: Word, 1993. Koptak, Paul E. Proverbs. NIV Application Commentary. Grand Rapids: Zondervan, 2003. *Lane, Eric. Proverbs: Everyday Wisdom for Everyone. Ross-shire, Great Britain: Christian Focus Publications, 2000. *Longman, Tremper, III. Proverbs. Baker Commentary on the Old Testament Wisdom and Psalms. Grand Rapids: Baker, 2006. Murphy, Roland E. Proverbs. Word Biblical Commentary. Waco, TX: Word, 1998. Mouser, William E., Jr. Walking in Wisdom. Downers Grove: InterVarsity, 1983. New International Dictionary of Old Testament Theology and Exegesis. S.v. “Proverbs: Theology of,” by Bruce K. Waltke. New International Dictionary of Old Testament Theology and Exegesis. S.v. “Proverbs; Sayings and Themes,” by K. T. Aitken. Osborne, Grant R. The Hermeneutical Spiral. Downers Grove: InterVarsity, 1991. Parsons, Greg W. “Guidelines for Understanding and Proclaiming the Book of Proverbs.” Bibliotheca Sacra 150 (April-June 1993): 151–70. Robinson, Haddon W. Biblical Preaching. Grand Rapids: Baker, 1980. *Ross, Allen P. “Proverbs.” In vol. 5 of The Expositor’s Bible Commentary. Edited by Frank E. Gaebelein and Richard P. Polcyn. Grand Rapids: Zondervan, 1991. Ryken, Leland. How to Read the Bible As Literature. Grand Rapids: Zondervan, 1984. ________. Word of Delight. Grand Rapids: Baker, 1987. Smith, Gary V. “Is There a Place for Job’s Wisdom in Old Testament Theology?” Trinity Journal 13 (Spring 1992): 3–20. Stein, Robert H. Playing by the Rules. Grand Rapids: Baker, 1994. Steveson, Peter A. Commentary on Proverbs. Greenville, SC: BJU Press, 2001. Van Leeuwen, Raymond C. “Proverbs.” In A Complete Literary Guide to the Bible. Edited by Leland Ryken and Tremper Longman III. Grand Rapids: Zondervan, 1993. Voorwinde, Stephen. Wisdom for Today’s Issues: A Topical Arrangement of the Proverbs. Phillipsburg, NJ: Presbyterian and Reformed, 1981. *Waltke, Bruce K. The Book of Proverbs. 2 vols. New International Commentary on the Old Testament. Grand Rapids: Eerdmans, 2004, 2005. Woodcock, Eldon. Proverbs: A Topical Study. Grand Rapids: Zondervan, 1988. Zuck, Roy B. “A Theology of the Wisdom Books and the Song of Songs.” In A Biblical Theology of the Old Testament. Edited by Roy B. Zuck, Eugene H. Merrill, and Darrell L. Bock. Chicago: Moody, 1991. Many interpreters maintain that the overall message of Ecclesiastes is one of cynicism and vanity. According to this perspective, the author of Ecclesiastes, Qohelet (an epithet for Solomon), has written a book unlike any other in the canon—-one that focuses on cynicism and complete despair. Those who take this view derive the message of despair from some “negative” motifs in Ecclesiastes. The most dominant of these begins the book in 1:2: “Vanity of vanities, says the Preacher, vanity of vanities! All is vanity” (NASB). “Vanity” translates the Hebrew word hebel. Since hebel occurs multiple times in every chapter of Ecclesiastes, readers must understand it in order to grasp the message of the book. But if this term is exclusively negative, how do we explain its juxtaposition to the exhortations to enjoy life (the carpe diem passages)? More specifically, is “vanity” or any other negative term (such as NIV’s “meaningless” or HCSB’s “futility”) the best way to render hebel in Ecclesiastes? I respond to this type of interpretation of Ecclesiastes by demonstrating that Qohelet’s use of hebel, the carpe diem passages, and his exhortations to reverentially fear God work against a negative view of hebel and against an overall pessimistic interpretation of Ecclesiastes (as an aside, both my posts at Sharper Iron provide background material as to why I named my blog “Fearing God in a Hebel World“). You can read both posts by going to part 1 and part 2. With my last post of this series, I began looking at the sixth and final guideline for interpreting Proverbs: problematic passages in Proverbs should be interpreted by the rest of Scripture. This sixth principle is divided into two parts: descriptive and prescriptive proverbs. With the last entry, we looked at prescriptive proverbs. We will look at descriptive proverbs with this post. A prescriptive proverb does more than simply tell about the way life is. It seeks to characterize an attitude or an action in order to influence behavior (Klein, Blomberg, Hubbard, pp. 313–14). There are three types of prescriptive proverbs. A prescriptive proverb that allows for exceptions is a generalization. There are two categories of generalizations. First, some proverbs allow for limitations in various circumstances. The example we looked at earlier in Proverbs 26:4–5 is certainly an example of this. Wise planning with proper advice is praised in 15:22. However, this is balanced by Proverbs 19:21, “Many are the plans in a man’s heart, but the counsel of the LORD, it will stand” (Parsons, p. 160). The foolishness “bound in the heart of a child” in 22:15 may provide a hindrance to the generalization in 22:6 (Zuck, p. 234). Second, other proverbs are generalizations because they are bound to the dispensation of law. For example, Proverbs 10:22 says, “It is the blessing of the LORD that makes rich, and he adds no sorrow to it.” The blessings of wealth were promised to the obedient Israelite in Deuteronomy 28:8–14. This type of promise is not made to believers in the New Testament. At times, a generalization may even be limited in the dispensation of law. An example of this is Proverbs 10:30, “The righteous will never be shaken, but the wicked will not dwell in the land.” When this text says the righteous will not “be shaken,” the sage is referring to righteous Israelites not being uprooted from the land of Israel. However, there were exceptions to this, viz., Jeremiah, Ezekiel, and Daniel. While we recognize this type of exception, our point is that the “land” emphasis in this proverb reflects that its was written under the dispensation of law and its direct application pertains to those living under the law. A prescriptive proverb that has no exceptions is a moral absolute. This will often be true in proverbs dealing with an action or characteristic of God. Proverbs 11:1 says, “A false balance is an abomination to the LORD, but a just weight is His delight.” Another example is 14:31, “He who oppresses the poor reproaches his Maker, but he who is gracious to the needy honors Him.” The instructional material in Proverbs 5 against adultery by maintaining a proper marital relationship is a moral absolute. It upholds the moral absolute, “You shall not commit adultery” (Exod 20:14). A prescriptive proverb may contain both a moral absolute and a generalization. Proverbs 3:1–2 is an exhortation to honor one’s father with a promise of long life and peace. The command to honor one’s parents is a moral absolute; however, the promise about life is only a generalization for Jesus Christ was the embodiment of honor to His earthly parents, yet He was crucified in His early thirties. “God in His sovereignty may make an exception as in the case of Jesus” (Parsons, p. 161, n. 72). With my last post, I will summarize this series of posts on Proverbs and provide a bibliography of sources that I used with my entries. This past Thursday was our 38th wedding anniversary and, since August 5, I have asked myself a few times how seriously have I taken my marriage covenant with my wife over this past year (see my post from last year “Celebrating 37 Years of Our Marriage Covenant“) as well as the years of our marriage. As I ponder my own earnestness in relationship to my marital obligations, Malachi 2:10-16 has much to say about this subject. More specifically with this post, I would like to make two observations from v. 14 about the seriousness of the covenant relationship between a husband and wife. This verse in Malachi explains the reason why God did not accept the worship of the Jewish community in Malachi’s day, as well as its significance for us since the marriage covenant is a creation ordinance: “Because the Lord has been a witness between you and the wife of your youth. You have acted treacherously against her, though she was your marriage partner and your wife by covenant” (HCSB). First, breaking the covenant relationship is a challenge to God’s authority. Since God stands as a witness to and enforcer of this covenant relationship, it is not a mere human contract, but one that includes a heavenly dimension. God confirms and acknowledges the wedding. It has a heavenly confirmation by the eternal, self-existent, sovereign God! To break faith with one’s partner is to defy the Almighty. Second, the marriage partner is described in two ways in this text. She is “the wife of your youth” (in the OT, a contracted marriage while one was under the authority of their parents) and “your marriage partner and your wife by covenant.” Both these expressions point to the intimate relationship of the marriage covenant. To break this bond is to deny the most intimate of all earthly relationships. Even more than this, violating this marital bond is to be unfaithful to God. And this has eternal ramifications! In contrast to the call of our culture that promotes sexual freedom outside of marriage between a man and a woman, God calls his redeemed people to live antithetically to our society. May God give us the faith to be loyal to our God by following his biblical mandate for marriage.